A purse-sized emergency touch-up/on-the-go/travel compact. 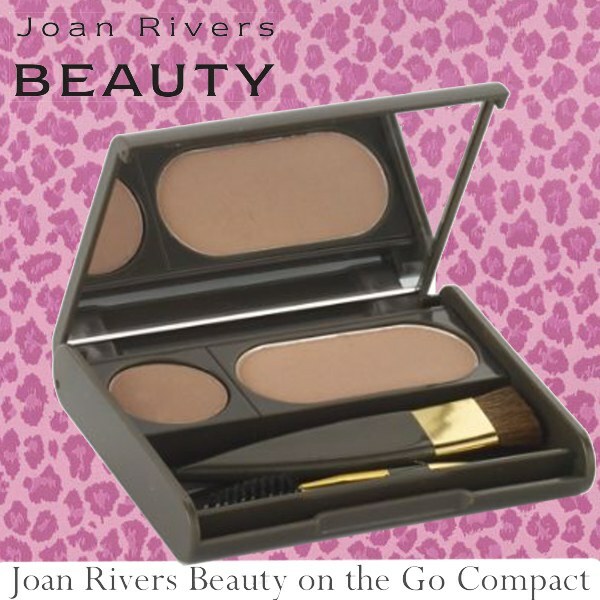 This is Joan's first purse-sized compact for easy touch-ups anywhere! A purse-sized emergency touch-up/on-the-go/travel compact. Joan&apos;s latest creation combines her two most popular beauty products in one handy compact--perfect for a woman on the go! It includes a 60-day supply of Great Hair Day and Great Brow Day, plus two custom-made brushes for easy application.